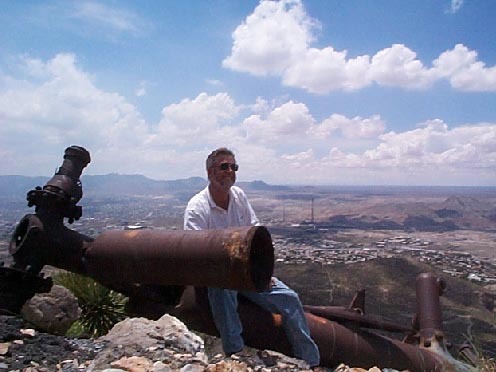 EL PASO, TEXAS – Nine human lives, the largest intercontinental bomber in the world and a 7,000-foot urban mountain range fuel a $4,000,000 Cold War mystery. Lost in a horrendous crash into the Western slopes of the Franklin Mountains during a dust storm-infused early-season blizzard in December 1953, the wreckage of a U.S. Air Force B-36D was shredded across the steep terrain as the booming explosions echoed between the mountains on each side of the Rio Grande flowing through the Pass of the North. 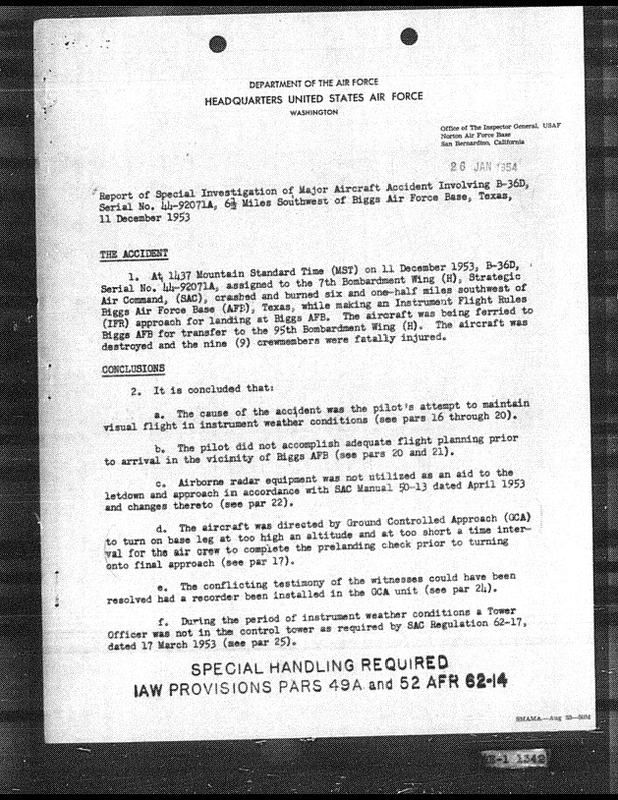 An investigation was undertaken by the Air Force which wrapped up onJanuary 26, 1954 with an official full Accident Investigation Report submitted by the Inspector General’s Office (see images below). 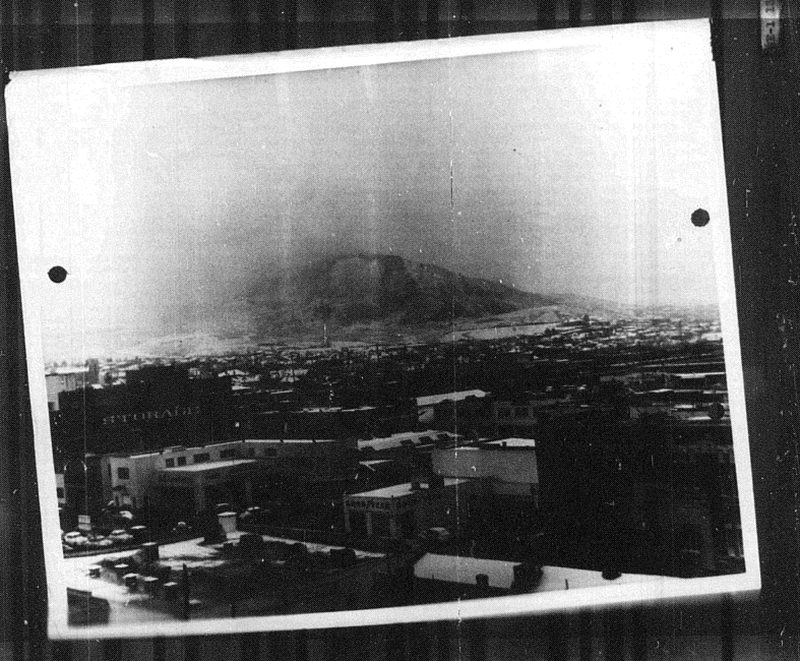 The report contains some interesting information including medical reports, citizens who witnessed the final, low flight path over Downtown El Paso and back into the clouds, statements by air controllers of the final radio communication between the ground and the aircraft, and a few grainy photographs and maps used as evidence during the investigation. Tragically, the conclusion was “pilot error” including an unfamiliarity with the geography of the El Paso region and use of VFR versus IFR approach. But, then, how many cities have a 7,000-foot mountain range running right down their center? 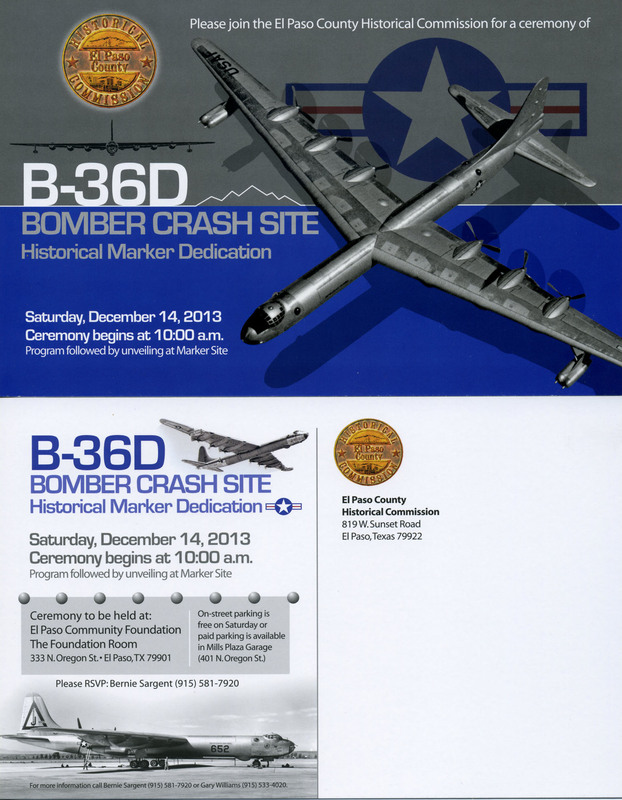 Cover Page of El Paso B-36 Accident Investigation Report with several conclusions. 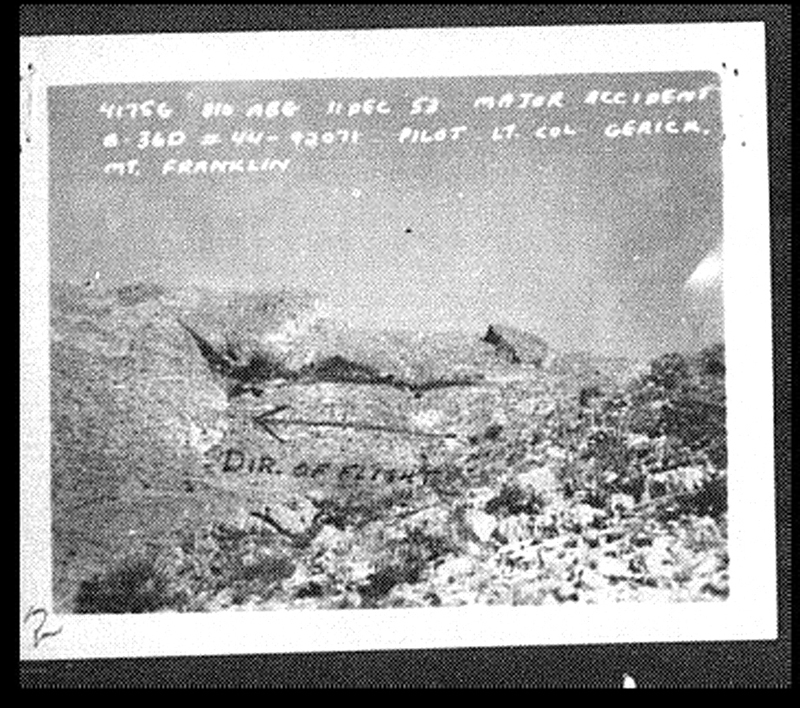 B-36D Crash Site photo from USAF Accident Investigation Report showing the burn scar across the flanks of Mount Franklin. 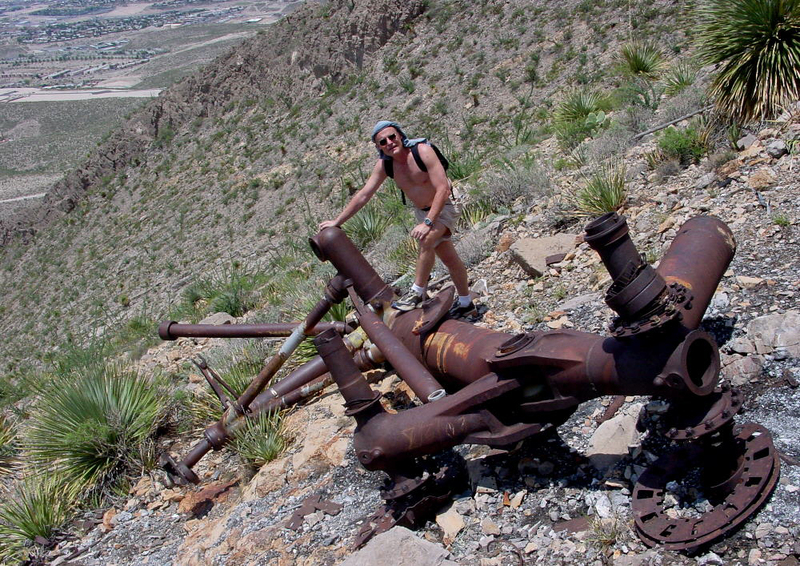 Pieces of the giant plane and other artifacts, still strewn across the rugged mountainside at about the 6,000-foot elevation, bear testament to a terrible tragedy that took place during the height of the Cold War. This aircraft was designed for one purpose: to deliver huge nuclear warheads to Russia from bases within the continental United States. It could fly without refueling for nearly two days, and held a record of sustained non-stop flight on a mission that lasted 45.3 hours. The huge bomber’s nickname was the “Peacemaker”… as in “carry a big stick”. It could load one of the immense Mark 17 bombs, a 40-Megaton Thermonuclear (Hydrogen) bomb, which would not fit into the B-52 years later without modifications. The technology was cutting edge for the time, the first of its kind. The airframe was made of magnesium with an aluminum skin. 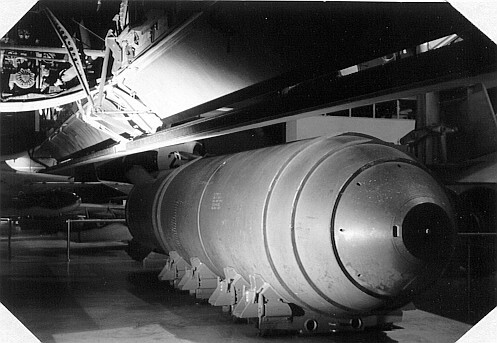 It weighed over 400,000 pounds without bombs. Before the advent of intercontinental ballistic missiles, this aircraft was the only way to assure our national security by carrying our most potent weapons to the edges of the Soviet Union, where it would fly just outside of their radar zones in constant rotations of weaponized air crews and their huge planes. 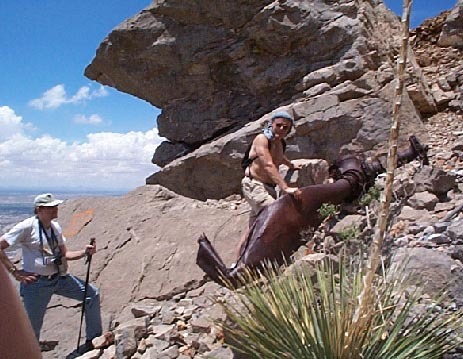 The crash site is a tough day-hike (two to three hours up, and one or two hours back down) from the top of Stanton Street, where a El Paso County Historical Commission Marker was just dedicated in honor of the 60th Anniversary of the incident, or from the top of O’Keefe Street in West Central El Paso. You can also wind your way by foot from the end of Kenyon Joyce Lane off of North Stanton Street, up through the North Palisades Canyon (next to the Jewish Temple Mt. Sinai and the Camelot Condominium project) and on up to the Jeep trail and the crash site just under the crest ridge of the Franklin Mountains, behind Crazy Cat Mountain. Jeep trail above Crazy Cat Mountain, at the toe of the slope before the ascent up to the B-36 crash site in the Franklin Mountains above El Paso. 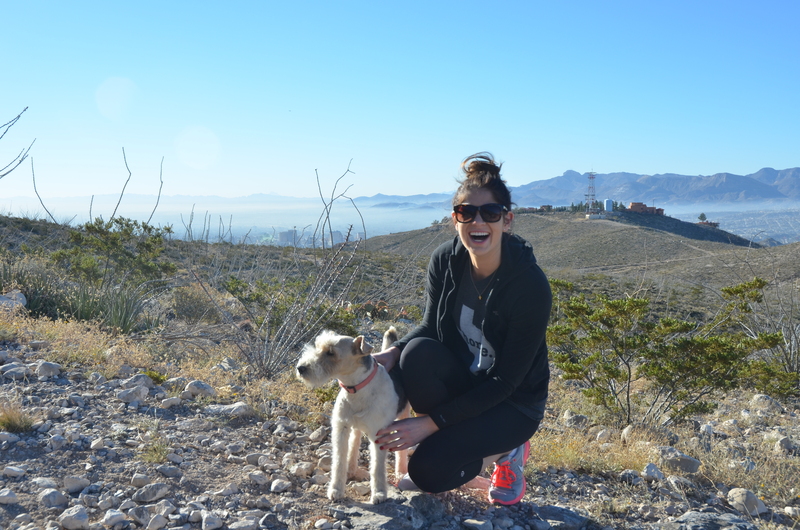 You’ll find a pyramid-shaped rock along that Jeep trail running along the toe of the steepest slopes…the one used by the El Paso Electric Company to service their big transmission lines that cross over the mountain. Turn uphill at that big rock marker and scramble up the water courses (we call them Arroyos) which become canyons strewn with boulders, staying away from the lechugilla-infested steep sides. This will be an unmarked, boulder-hopping, steep, windy climb for the next hour or so. You’ll come across big pieces of the landing struts and frame of the aircraft soon, as the terrain gets steeper – some surfaces approaching 60% grades at times. Take care as you climb…both up and back down! If you look carefully around, many artifacts lie scattered amongst the rocks and cactus. Remember that this area is now part of the largest urban state park in Texas, the Franklin Mountain State Park and artifacts are protected. Large pieces of landing gear frame, propellers, engines, titanium turbine blades, small pieces of plexiglass from the windows, wire, instruments, and hunks of aluminum skin…some melted into droplets stuck to the rocky slope…all testifying to the horrific impact and raging fires of the crash. In the photo below, the slight warping bend and discoloration of a Major’s gold oak leaf collar insignia probably bears mute testimony to the devastation which played out at the time of the crash! The bent titanium jet turbine blades you might spy or the huge broken and bent landing struts all speak to the immense forces at work as the plane stuck the rocky slopes. Two officer insignia, a Lt. Colonel and a Major, and a titanium jet turbine blade recovered from the crash site. It all began with a routine ferry mission from the Strategic Air Command Base in Fort Worth (Carswell) to the SAC Base at Ft. Bliss (Biggs Field), located in the flat desert plains spreading out from the Northeast side of the Franklin Mountains in El Paso. In command of this Cold War pre-ICBM nuclear delivery system: Lt. Colonel Herman Gerick. By his side, Major George C. Morford as Co-Pilot, from Pennsylvania. 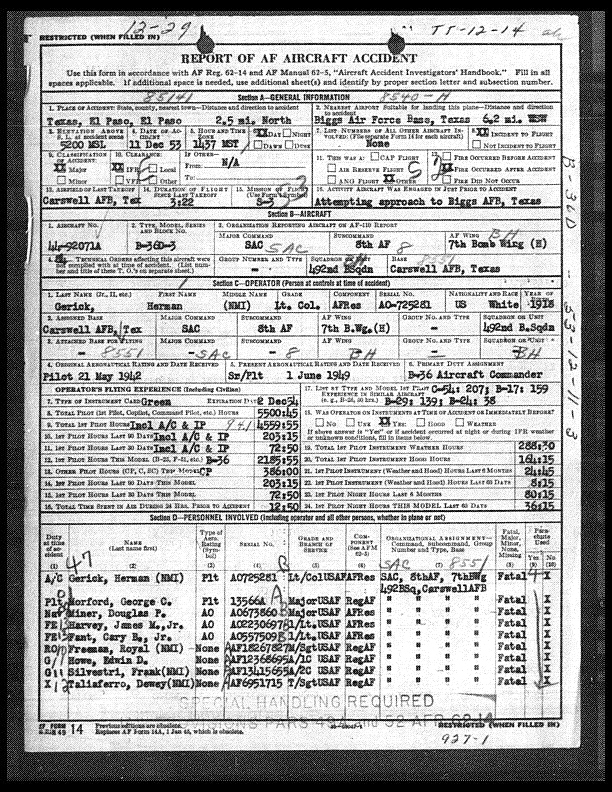 Though the record reflects a huge number of flying hours experience between the flight crew, nothing in the accident investigation report mentions anything at all about the aircraft commander or crew’s background except for one slight reference in the Medical Report of Lt. 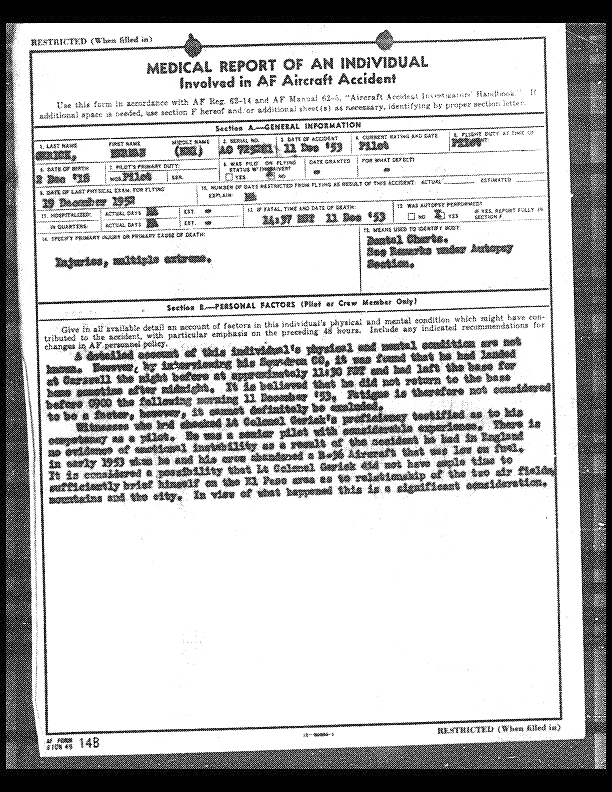 Colonel Gerick about the possibility of “emotional stress or trauma” from the accident he was involved in six months earlier in England. More on that strange British B-36 accident with this same crew in February 1953 will appear in a later chapter. Suffice to say, this Friday afternoon flight to El Paso to bring in a new B-36D for Biggs AFB seemed normal…until they hit a typical West Texas winter dust and snow storm moving down into the high desert from the Rockies. The crew’s plan for a night of fun in El Paso’s sister city of Juarez at the Dog Track or the Kentucky Club would never happen. Their friend, 1st Sgt. Taliaferro who hitched a ride on that fateful flight with them to the Border Town for a good time that Friday, would never see his new daughter born just a month later in January 1954. Neither would Airman First Class Edwin D. Howe see his daughter, Denine, born in August of 1954. …CLICK ON THE IMBEDDED AUDIO TRACK BELOW FEATURING THE CAPSTONE PRODUCTION RADIO PLAY…. 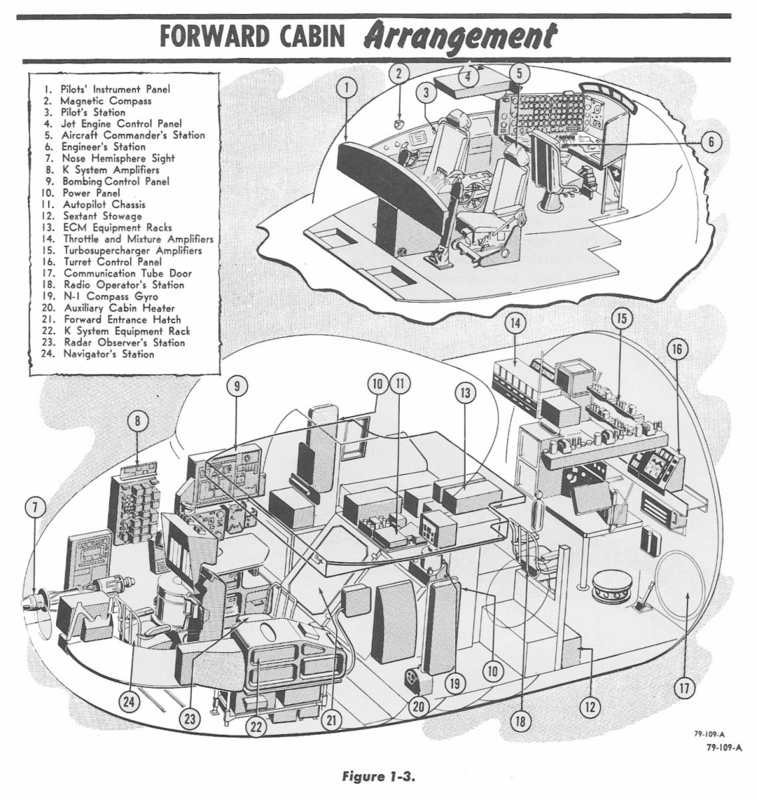 B-36 Forward Cabin layout and detail, note the two deck levels within the forward cabin. It ended tragically with a confused few moments of radio chatter, the surge of the jet booster engines roaring at the tip of the wings, and the groan of the airframe against the pull of the flaps trying to avert disaster as the rocky mountainside suddenly appeared and rushed at the wide-eyed crew out of the blanket of snow and dust that had hidden it from their view. It was over before they could do much. 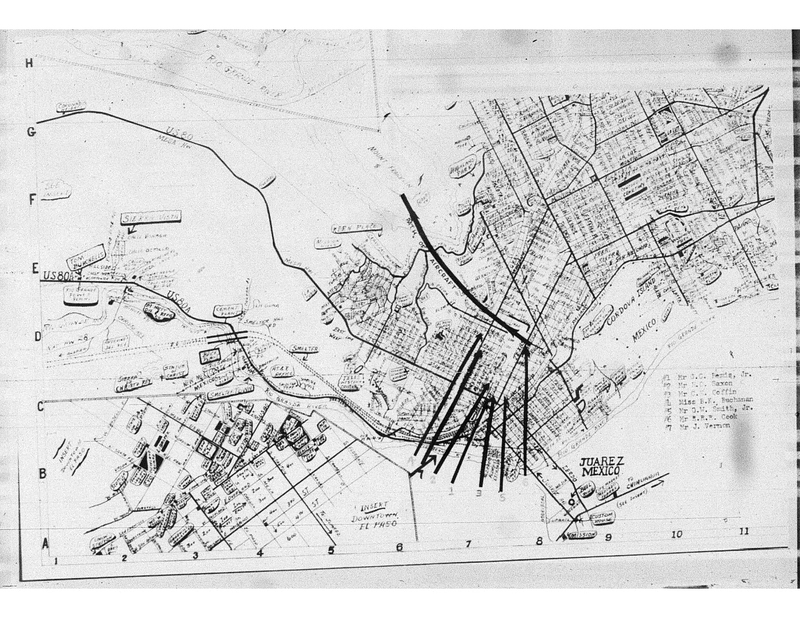 Accident Investigation map of flight path over Downtown El Paso just before the crash. 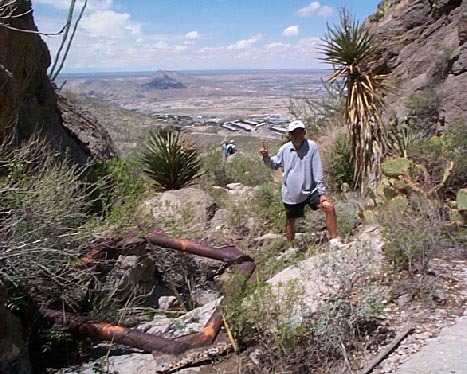 George Saucedo at one of the first large wreck pieces encountered on the hike. INHL Director Multhauf illustrates the massive scale of the front landing strut, with the steep terrain and West El Paso in background. Jim Davison and Chris Multhauf examine a propeller and other big pieces of the wreck at the main impact site…note red crosses painted on rock in background. One of the B-36D jet engines, with the titanium turbine blades shown closest to camera. 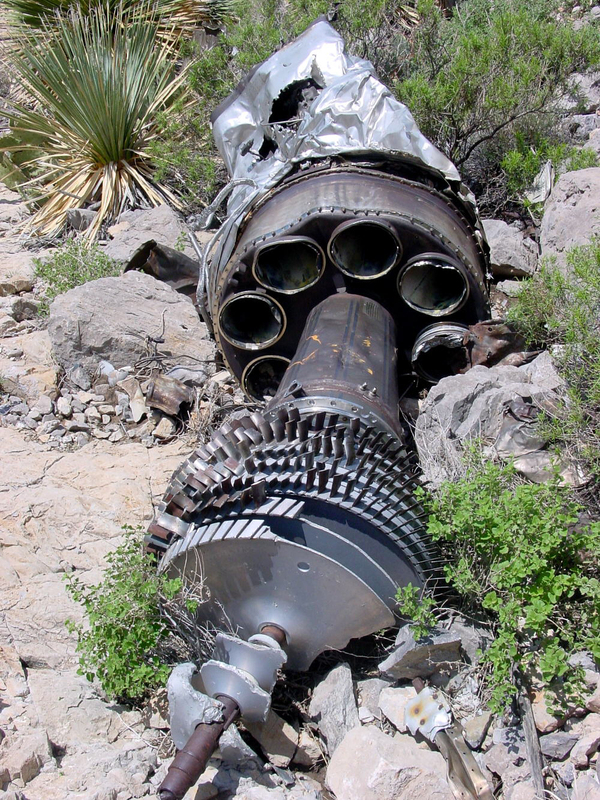 Note the blades are bent in a direction indicating the turbine was spinning upon impact. 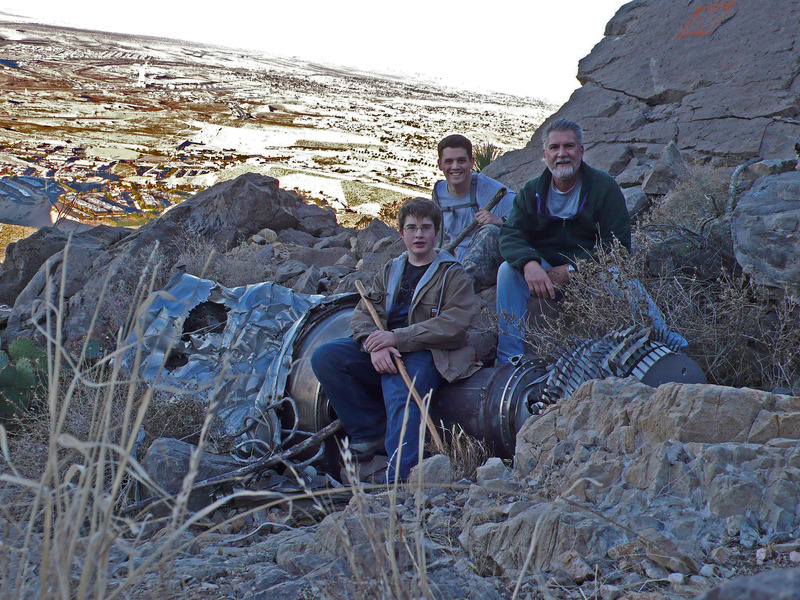 Liam Etzold, Joseph Perry and David at the wreck site with B-36D jet engine. 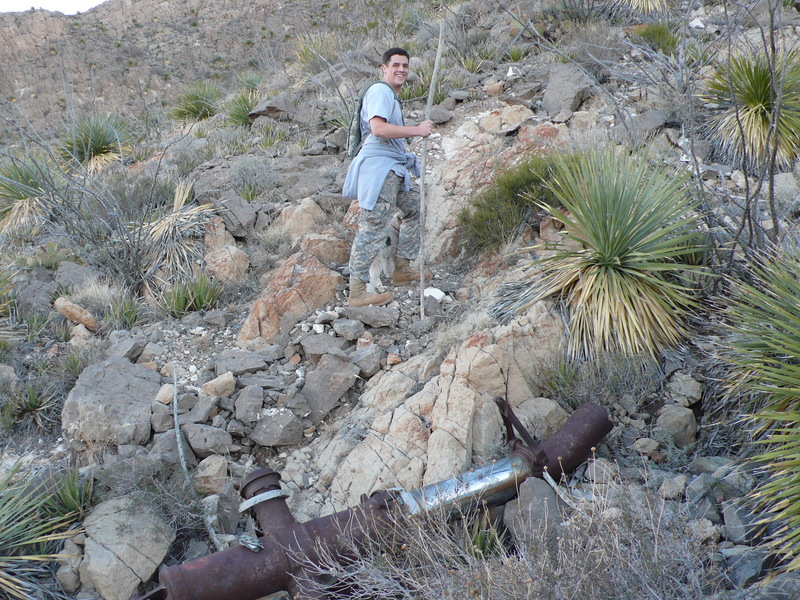 Joseph Perry and piece of landing gear strut on rugged slope. Left wing B-36 propeller assembly. 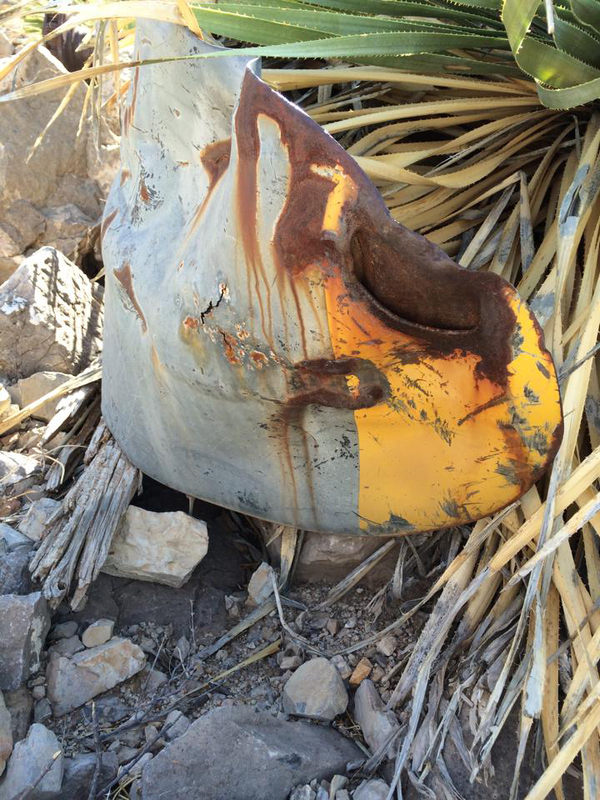 Yellow-painted tip of B-36 propeller in the left-hand canyon. 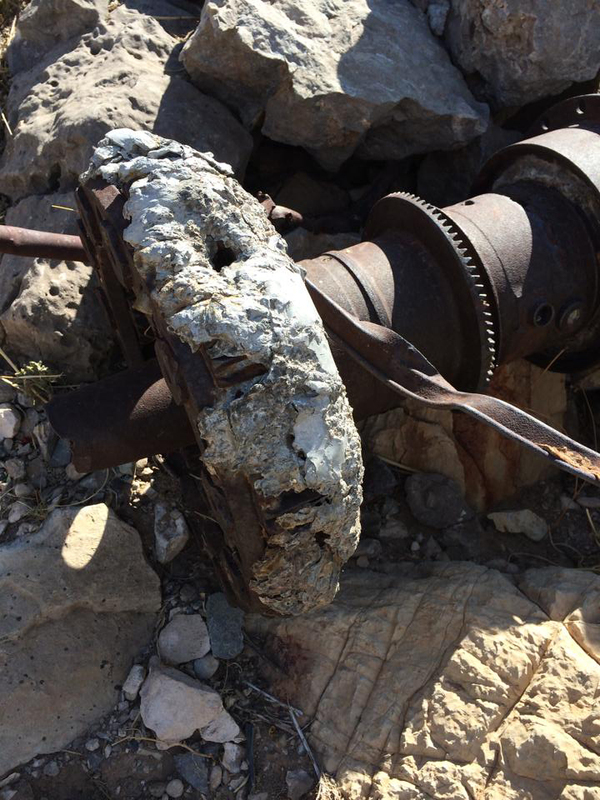 Melted aluminum covers the gears of one of the B-36 propeller shaft assemblies. 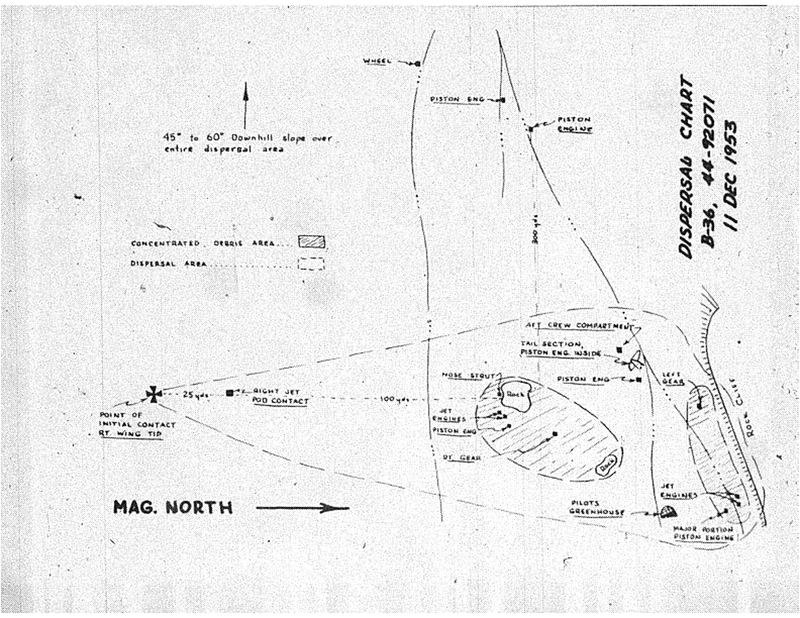 Hand drawn diagram used in the accident investigation, showing the wreckage dispersal across the steep flanks of Mount Franklin (West is up, North right). 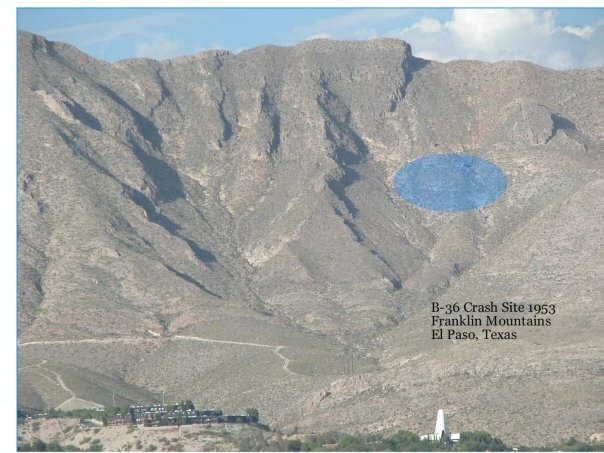 In December 2014 we received communication from Richard Tenglin, a retired military Flight Surgeon who has participated in similar accident investigations and has researched this particular El Paso B-36 crash extensively. “We have, since 1953, incorporated much “human factors” into accident investigation. Such would have made the report in 1954 much more accurate, I suspect. 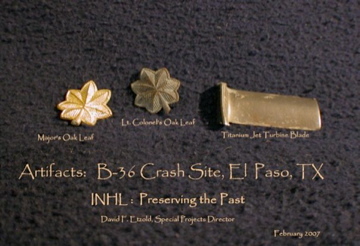 I spent many hours at the Franklin crash site when I was in El Paso. It is one of too many testaments to what happens when fallible humans involve themselves with complex machines and unforgiving natural forces. I’ve been there, read the report….and I know what happened….I think. “One has to wonder if he felt the guidance from the ground was not good….even in bad weather, GCA landings would not have been a problem for an experienced pilot. He’d done many before. So on that fateful day over El Paso, he was (inappropriately some say) handed off from El Paso flight control to Approach Control at Biggs Airfield. The controller told him to take a heading of 370 degrees! Gerick responded that there was no such heading, and the controller corrected himself and said 10 degrees. Now…..here’s a stressed pilot who lost an aircraft 10 months ago due to (possibly) bad ground guidance….and now he gets an incorrect heading from ground personnel at Biggs. That would not have done much for his confidence for attempting another landing in bad weather. The B-36 was a notoriously “wet” aircraft, and it was wet out. I suspect he lost his radio coms about that time and went to orbit SW of town to try to fix the problem. Now, here’s another failure of the official report……it states he crashed while on approach to Biggs field. Nonsense. The aircraft was flaps up/gear up…….the report states this……that’s not landing configuration. I’d bet he decided he’d had enough of El Paso and decided to head up to Alamogordo…..but preflight brief probably didn’t include the “local terrain hazards” part (as PIC, his responsibility) and he plowed into the mountain in the clouds. Aircraft Commander Lt. Col. Herman Gerick, and seven members of his regularly assigned Select Combat Crew: 1st Pilot Major George C. Morford; 1st Navigator Major Douglas P. Miner; 1st Flight Engineer 1st Lt. Cary B. Fant, Jr.; 1st Radio Operator M/Sgt. Royal Freeman; Gunner A/1C Edwin David Howe; Gunner A/2C Frank Silvestri; Flight Engineer 1st Lt. James M. Harvey, Jr.; plus one passenger, 1st Sgt. Dewey Taliaferro. December 14, 2013 – EL PASO: On a crisp, clear Saturday morning in Downtown El Paso, families of two of the lost aircrew, Sargent Dewey Taliaferro (pronounced “Tolifer”, the family informed me) and Major George Morford, gathered in El Paso with members of the El Paso County Historical Commission and interested citizens to honor all nine men who perished sixty years earlier in service to their country. 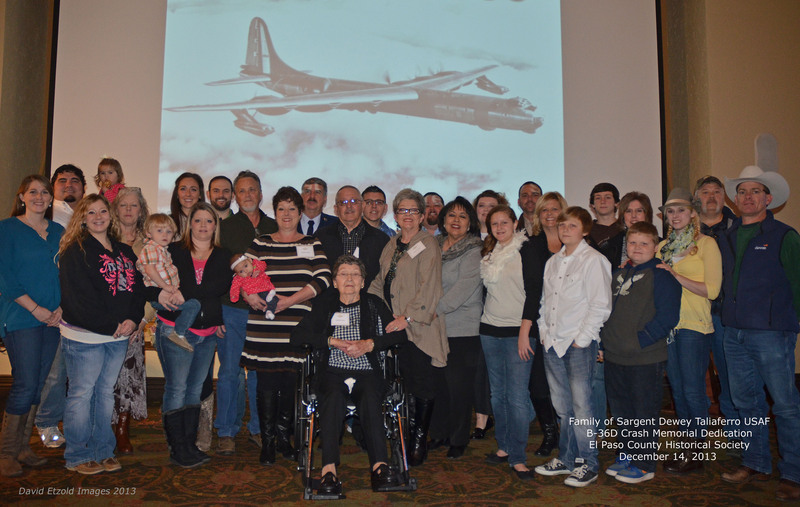 Present at the event were two lovely ladies, widows of two of those lost airmen, supported by scores of their children, grandchildren and other close family. We gathered at the El Paso Community Foundation facility to memorialize that crew and their mission. 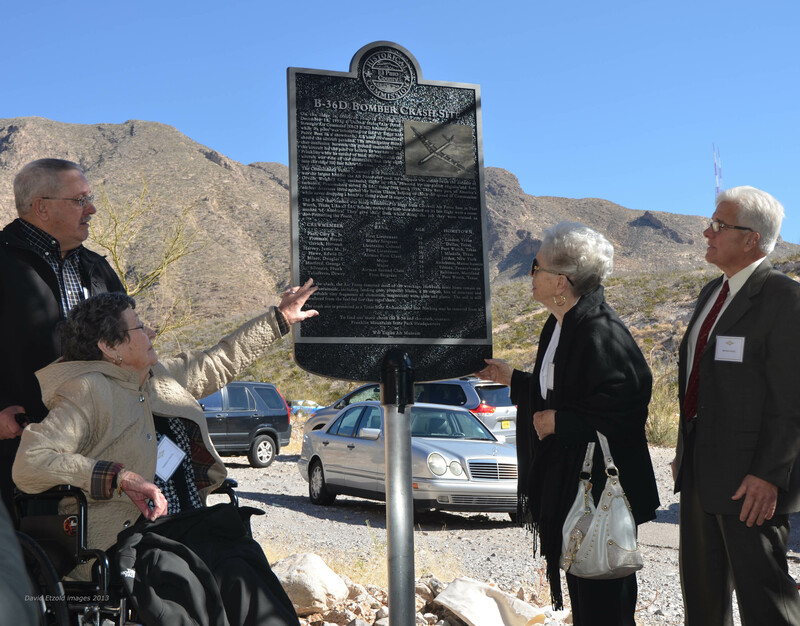 Later, we drove up North Stanton Street to dedicate the new Historical Monument installed at the end of Stanton near the entrance to the Camelot Condominium. One family, the Taliaferro’s were from the Fort Worth area, the home of Carswell Air Force Base and big aerospace plants. The other family, the Morford’s, came all the way to El Paso from Pennsylvania for the event. A Military Color Guard from the U S Sargent’s Major Academy at Fort Bliss presented the flags, silence was observed for a moment and the pledge of allegiance began the Memorial Program. Special guest speaker was the retired Commanding General of Fort Bliss, General James Maloney. 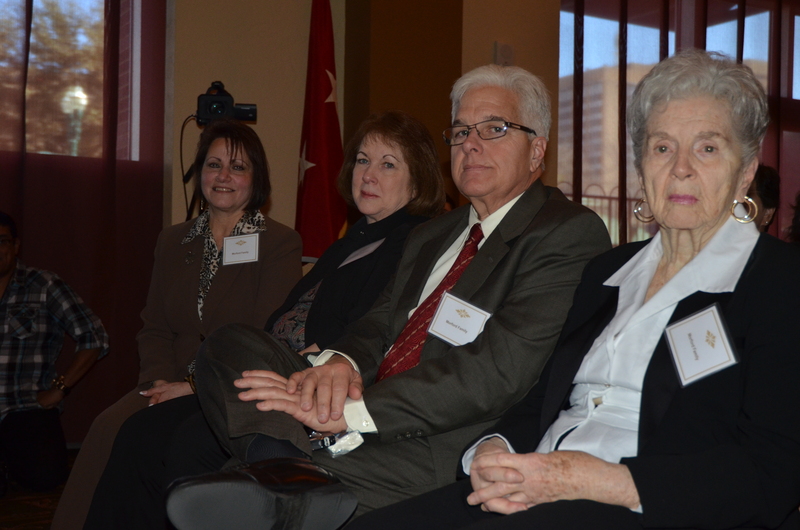 The event was moderated by the Chairman of the El Paso County Historical Commission, Bernie Sargent. Bernie Sargent introduces the program at the Memorial in the Foundation Room. The family of aircraft pilot Major George C Morford, from Pennsylvania. 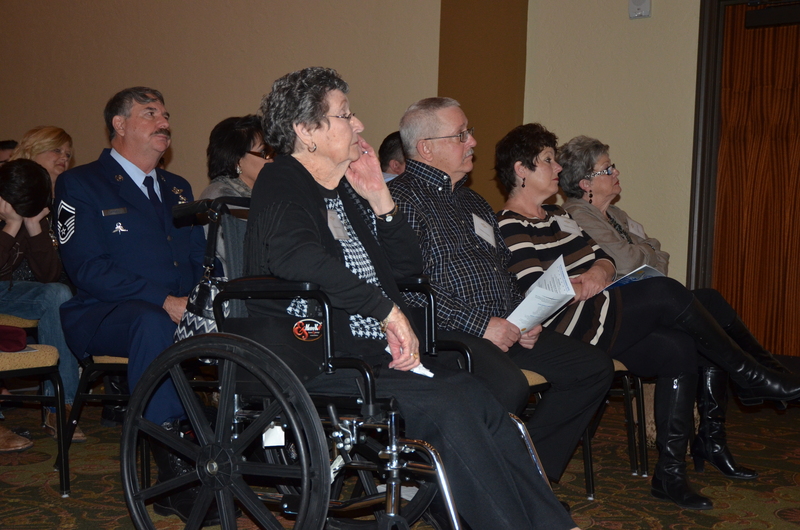 Major Morford’s wife Carolyn, at right, passed away in December 2015. Her son, George, sits to her right. Mrs. Dewey Taliafero, wife of the unlucky passenger whose friends had invited for a trip to the Border that fateful Friday, and her family at the Memorial Program. 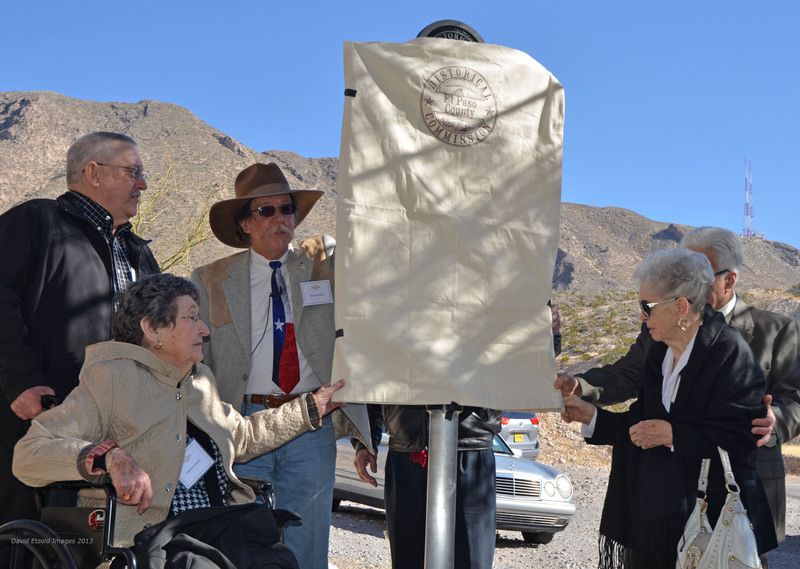 Bernie Sargent, President of the El Paso County Historical Society, helps unveil the new monument. Mrs.Taliaferro reaches for her husband’s engraved name as Mrs. Carolyn Morford and her son admire the newly dedicated marker. 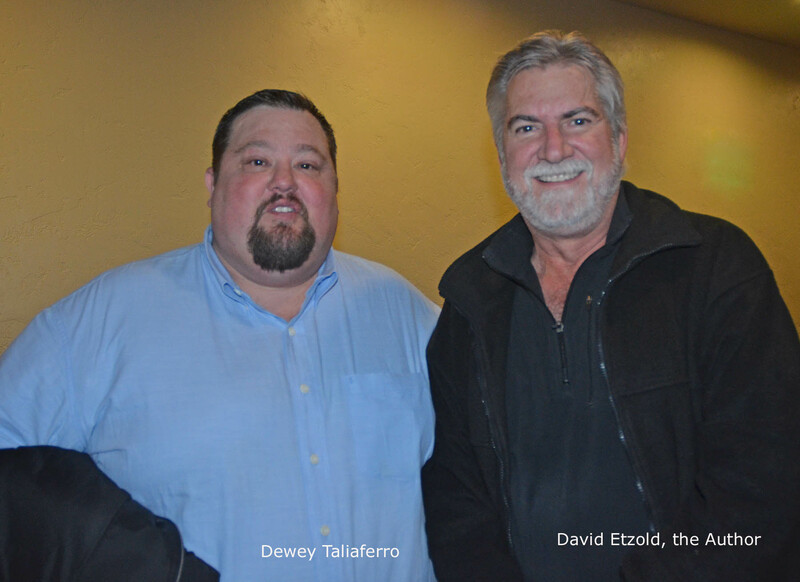 Grandson of Sargent USAF Dewey Taliaferro, the unlucky passenger who hitched a ride on the fateful flight to El Paso that Friday afternoon…with the author. 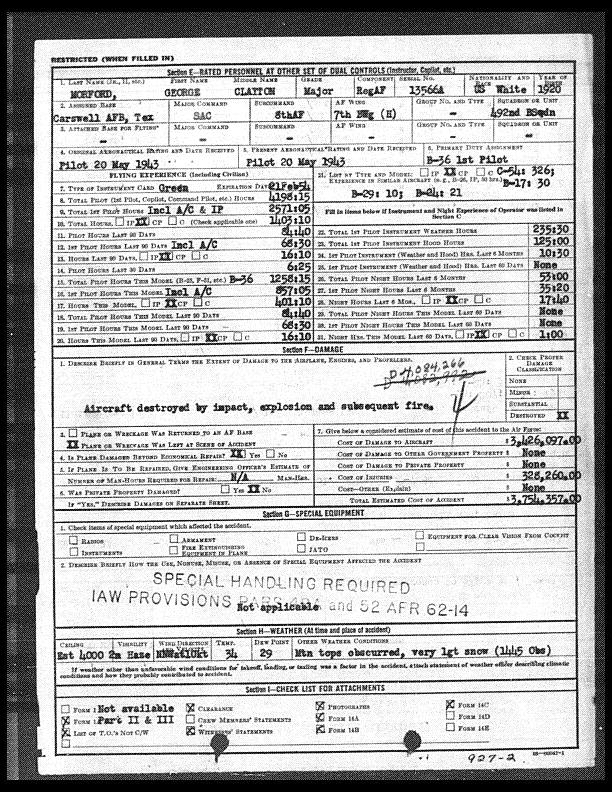 The directors and officers of the International National History League (INHL) wish to offer this record of that fateful flight as a testament to the bravery and dedication of these, and so many other, service men and women who have perished in the line of duty for this country. ~ by Dave Etzold on July 8, 2012. 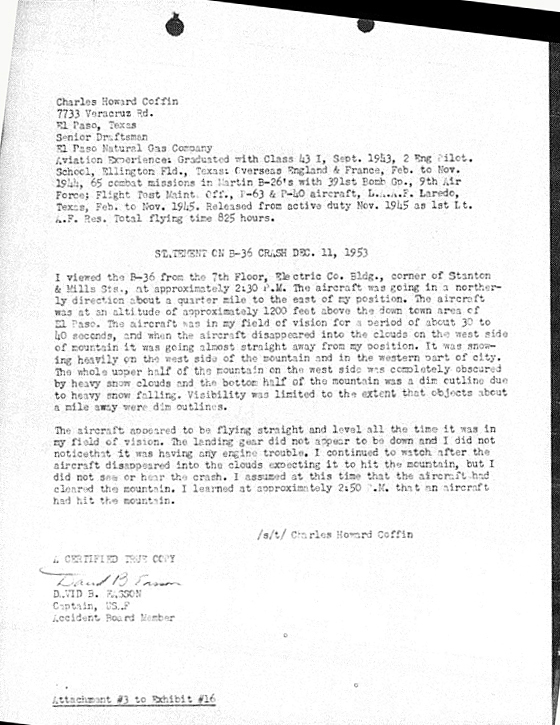 Mr. Etzold, thank you for the copies related to the December 1953 B-36 crash. This is a great story and thank you for highlighting it. My sister was born this same date and celebrated her 60th yesterday! 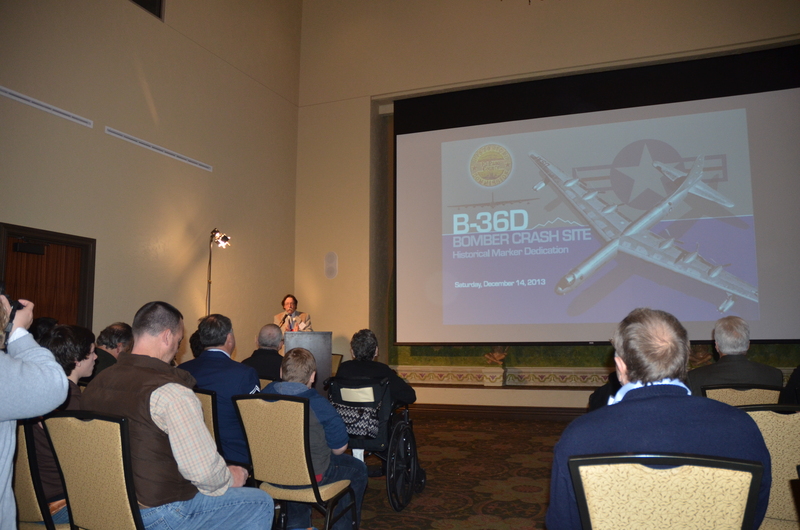 When we spoke by phone, I mentioned the B-36 incident to her. She was also surprised as neither of us knew about it. She told me that our mother often mentioned that it had snowed the day of her birth, but never said anything about the plane crashing. Thank you very much for all the hard work and effort that made this possible I know the families appreciated everything that has been done to honor these men. I am the great-granddaughter of First Sgt. Dewey Taliaferro. I am the wearing yellow in the picture above. One of my many cousins in this picture was born December 11, 1998. We can’t thank you enough for reaching out and finding us, bless you all. I was a 4TH grader at San Jacinto elementary school during that fateful day. 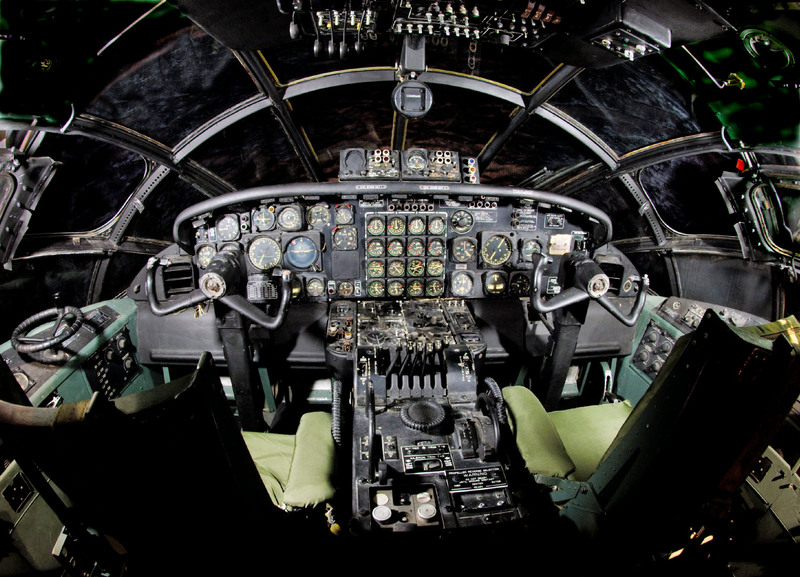 The B-36 had a very deep throated engine drone unlike any other aircraft. We heard the drone so loud it appeared to be just above the roof of our school. It shattered the windows in our school. A few minutes later we saw a flash through the blizzard coming from the mountain. A few seconds later we heard the terrible BOOM ! I knew somethng terrible had occured. When I got home, I lived on Myrtle St., I found out what had happened. I cried uncontrolably. Can I ask you more about that day? Dewey Taliaferro was my uncle. I am so pleased that my family was able to attend this dedication. Thank you for writing such an enlightening piece. Thank you again for this. Words can’t express how much this and the ceremony meant to our family. It was a pleasure to meet you and your wife along with all the other people involved. God bless you. This was a wonderful and bittersweet experience. Thank you, David for participating in this amazing story. I’m Dewey Taliaferro 1st grandchild & Words cant not express what I feel in my heart, our family has truely been blessed to have taken this trip with my Grandmother. I was not sure what to expect when we arrived in El Paso, but it was behond my wildest dreams. My cup she is full with joy and tears I”m so thankful to those who have taken the time to put all this together. I cant wait to go back and hike the mountain top to the site. A big thank you to Lus who hike’s this every year/day and lays flowers at the site, she is our angel and I truley beleive God put her in our path with the help of my grandfather to tell us all is good and to bring Grandmother and his family back to him, even if it took 60 years to get there. This is the best Christmas Gift our family will every have. Thnak you again!!! So sorry we did not know about the memorial. We surely would have been there. Royal Freeman was my brother. Here’s a Youtube link to Jackson Polk’s 57 minute video of the dedication ceremonies in downtown El Paso and at the historical marker on Stanton street. Thasnks, Jackson! Thanks Mr. Etzold for that thorough blog. My wife was a ten-year-old living on Mobile Street in El Paso on the day that the accident occurred. She heard the noise, and later could see the scarred crash-site from her house. She has often spoken of this over the years- – -she later moved with her family to Canutillo, Texas where her parents had the Upper Valley Medical Clinic. We were married 51 years ago in Anthony, Texas and I graduated from Texas Western College (now UTEP) – – -we have been back there a couple of times. Isn’t there a large “A” on the mountainside now, (For Austin High)?? Royal Freeman was my husband, James Freeman’s, uncle. He died before James was born, but we are naming our son, who will arrive in late March, after him. His name will be Andrew Royal Freeman. We would like to put a high resolution photo of the Historical Marker in our son’s room. Could you please email one to us? Thank you! My mother was Royal Freeman’s wife she was haunted by this accident the rest of her life. All she could bury was an empty dress uniform. She passed away Decmeber 6 2015 and has joined Royal after all these years. i don’t know why but i am so obsessed with this incident and cant get over it IT’S SO INTERESTING! I lived in the upper Valley area most my life now have moved, I have always been shown the scar or as I like to put it the debris field on the mountain and told different stories about it and it’s finally been answered for me and others I’m sure, thank you for going this, bless the men of this flight and my condolences to the families and friends. The plane crash occurred 5 days before my 5th birthday. Our family lived in the 3400 block of N. Kansas St. (later renamed Stanton St.). I remember being able to see the orange glow of the burning crash site from our back yard on the evening of that fateful day. In later years, I often glanced up at the charred area of the mountain side, recalling the flaming image forever burned into my memory. I’ll never forget the sadness of December 11, 1953. Thank you for remembering this tragic event and the people who were lost. We, as their families appreciate every kind thought. I was 14 years old, living at 1509 Upson Ave. in El Paso when that terrible crash occurred. It caused everyone in EP to feel a deep sadness, which was increased when we looked up at Mt. Franklin and for awhile could see the tail section of that doomed aircraft glinting in the sunlight. The military destroyed those artifacts soon after the crash, but some 60-plus years later I’m still saddened by the loss of those brave airmen. It was gratifying to see the way the family members were honored in 2013 by the historical society and other kind-hearted people as they comforted the family members. Some years after the crash I became a young airman myself, and that crash was still fresh in the minds — and hearts — of many of my fellow airmen. I remember the day this B-36 plowed into the western side of Mr. Franklin. I was attending Texas Western (in my 2nd year). I had walked from the main campus over to the (then) ROTC building and had noted the fog around the mountain though we’d not received any snow at the campus. As it turned out, I did not hear the plane hit since I was inside the ROTC building practicing in their rifle range at the time apparently. Actually during WWII (first in April ’43; then again in March of ’44) we experienced two B-24 crashes uo on the East time of Mt. Franklin. The first one killed 7; the second one killed 8 aircrew. This B36 (from what I remember) killed a total of 10 (though as was mentioned, one Sgt. had hooked a ride and was not a member of the crew. Sometime around this period, the AF had ordered a new version of the B36 in which it was basically a ‘stripped down version’ known as the ‘light weight B36? 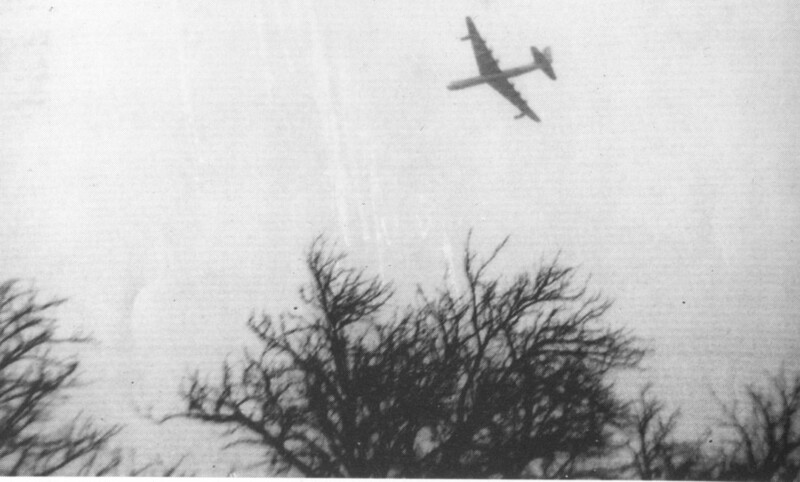 It was designed to fly up to 50,000 ft., far above Soviet fighters or AA. Thank you Charles. 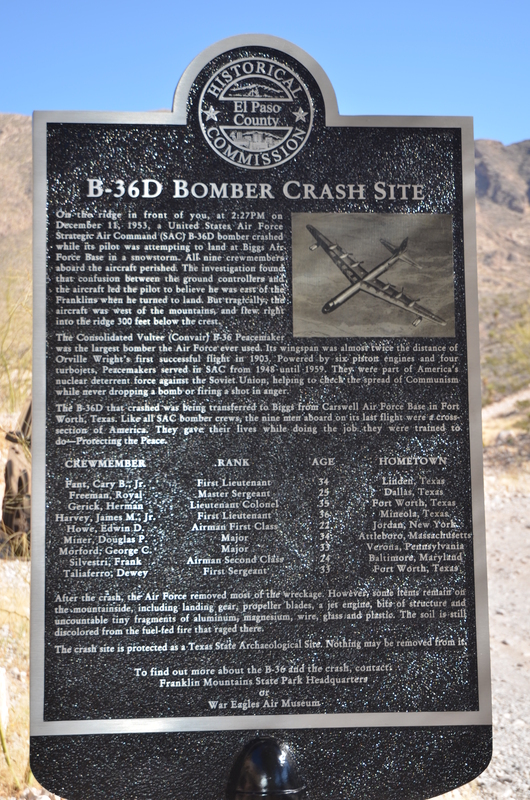 There were actually nine casualties of the El Paso B-36 crash. Their names are recorded both on the blog post (near the bottom) and on the plaque installed by the Texas Historical Commission at the top of Stanton Street. This model, the B-36D had four jet engines attached to the wing tips, a pod of two on each wing, mainly for take-off assistance. Thank you for posting this video! Really found this information very interesting! My condolences to all of these families for their losses. I wasn’t born until 1956 in El Paso. I had never heard about this event until now. God Bless the brave men that made the ultimate sacrifices for their country! Please change your records as I would hate to lose this link. Thanks so much for keeping me in this loop. My wife, who lived on Mobile Street at the time, remembers this well. That one picture taken from the west—is that tall building at the base of Mt. Franklin the La Tuna Federal Correctional Institution??? Dr. Shuler, the tall building you see in the shot that illustrates the crash site (in blue) is the Jewish Temple Mount Sinai at the top of Stanton Street. Great info on an interesting topic. Thank you for dedicating so much time and emotion to this project. I am the great granddaughter of George C. and Carolyn Morford. Carolyn passed away in December, and I can not thank you enough for doing this for her, the other families involved and their children. Also, thank you for having the presentation taped, and here so I can watch it. I hope to make it to El Paso someday and make the hike, which will be possible because of all of your work. I have followed your blog for 10 years now, and will never stop being thankful. You may have heard I took your relatives Obie and Jeff to the crash site. If you’d like to go, call or leave me a message. Obie and Jeff have my contact info. 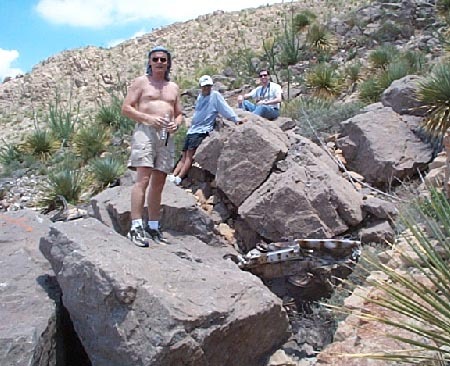 You or others can also become members of El Paso Hiking Group Meetup (google it) and contact me on my profile page with the group. My wife’s Father was on board, Edwin D. Howe(David). Denine was born the following August. We will make plans to visit the plaque. Denine’s Mom Diane(Darling) is alive and well living in Cedar Rapids, Iowa as well as David’s Son Don. 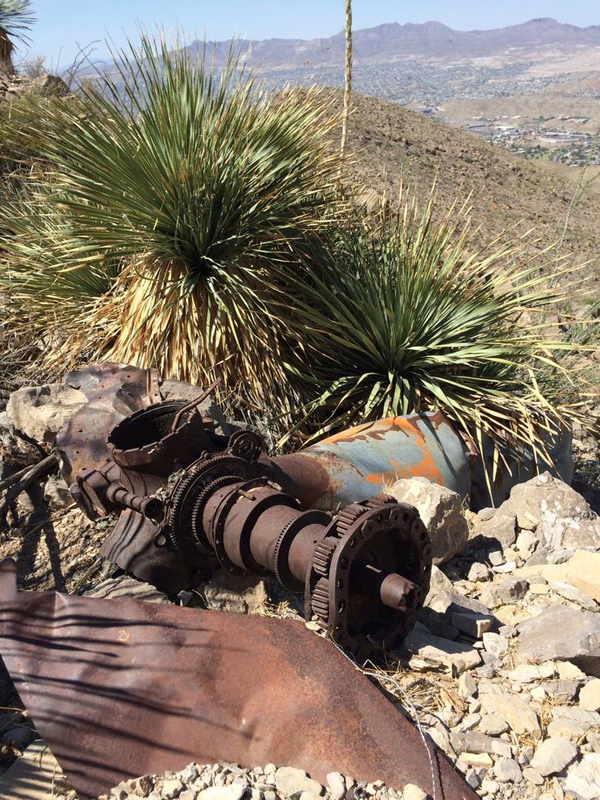 was there another b 36 crash on mt franklin in 1956 or 1957? No Charles, just this B-36 in 1953. I climbed to the site with my son Dec 30, 2017, but I would have learned more had I read this blog first. 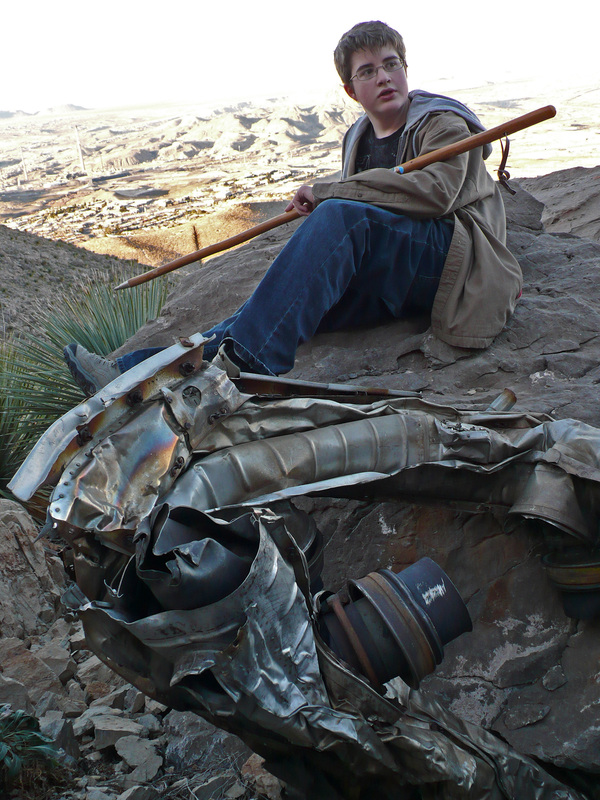 The photo captioned “Joseph Perry and piece of landing gear strut on rugged slope” is of the nose gear strut on which spindles for two wheels are seen. There is also gearing on the strut for nosewheel steering. The shiny part is the compressible cylinder for shock absorption on landing. The largest piece near the top of the slope is the main gear strut. On it there are spindles for four wheels. The spindle with the flags still has the outer races for the wheel bearings and cage for the rollers which are all gone. The small amount of remaining ash is probably from the burned tires. The fractures and bending in the struts plus the grinding on the large nut on the main gear strut make me think that the gear was extended. It makes sense that the nose gear strut came off first and is found lower on the slope than the main gear. The two propellers and jet turbine right of the large rock (looking up slope) are in a row suggesting they were on the right side, but closer together than they would have been on the wing. The turbine intake and propeller drives point down slope (presumably opposite the direction of flight) indicating that the wing must have flipped over. The prop tip bending in the direction of flight means that the engines were producing power when the props contacted the ground. The piece in the photo immediately above the debris field diagram is the exhaust manifold and shroud for a radial engine. I took a lot of photos and will share them if you like. Thank you Jerry, great observations. It’s always a stunning and somber hike for me. My dad was in class at El Paso High the day of the crash — he said they heard it. He and some friends tried to hike up to it but were turned away by police. David, do you know if any debris was removed, maybe by helicopter, or is what’s at the site all that remains? Also, David, do you think they were trying to land at Biggs, or heading to Albuquerque? Landing at Biggs after pulling out of their first attempt, they circled south over Juarez and Downtown El Paso and arced over Rim Road and Kern Place…before hitting the mountain in the cloud bank. Yes, some of the plane was a removed, some was blown up in place. This has been very interesting for me to read. Thank you for chronicling this accident. Herman Gerick was my great uncle, who I never met. Because I was born on the day of his death, Dec. 11, I’ve always been intrigued about his life. I had no idea about this, all that my family ever told to me was that he died in a plane crash. The details of this crash are shocking and new to many of his family members. He had 11 sibings. Thank you! No one ever talked about the England incident. It was news to me. I did a little research and found out a niece of his does have some news articles from England about it, but she only received them 10 years ago, no information ever got disseminated. They were put away in a box and forgotten. Ironically enough my mom, who was 13 at the time, broke the awful news to her parents. She heard it on the radio while she was on a double date, it was a Friday night she remembers. She went home and woke my grandma to tell her. My grandma then told her mom and dad (Herman’s parents). They didn’t believe it until the military showed up the next morning. His death devastated great grandfather from what I’ve learned. He died less than two years later. We have a yearly Gerick reunion each June at my mom’s farm in Cameron, Tx, where Herman was from and the town he is buried in. I will make sure He is remembered adequately this year. Jesus, console those who are grieving the loss of a loved one. Let them be comforted in the remembrance of Your promises. Give to those who mourn, peace, in the midst of their tears. You are the Resurrection and the Life! We know and believe this! Great history for our armed forces these individuals are great heroes. And sadly it happened here in el Paso mountains we should feel pride and appreciation to all of our active duty volunteers. When we look at the Franklin mountains thank you a navy veteran from el paso. I was a 22 year army cpl at White Sands Proving ground at that time and remember the news well. On Feb 6 1974 was married in Canutillo. My first three children were born in the Nystrom clinic in Canutillo. Thanks so much for this great coverage. Tom Marson, now of Hudson Wisconsin.